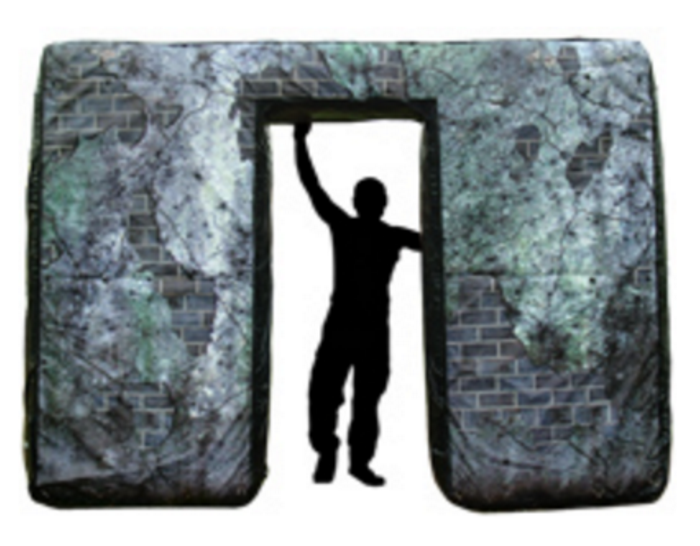 The Battlefield Inflatable Doorway is the basic gaming inflatable that when combined with other doors, windows and walls forms an “instant” maze. You can clip them together to other doors, windows or walls to form a mini-town. See below for an image of the clip locations. These gaming inflatables are able to be used either indoors or outdoors. Each doorway has tie down-points at all corners, as well as midway along its sides, and across the bottom. You can lock them together to other doors, windows or walls to form a mini-town. These gaming inflatables are basically a high wall with a 2m high doorway, essential for access to a building.